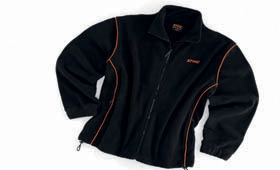 New for 2013, warm STIHL jacket with modern design and close fit for working outdoors in winter. Very soft interior. Traps air for maximum heat retention. With high collar and two side pockets.